GR5 BOOK – NOW AVAILABLE! 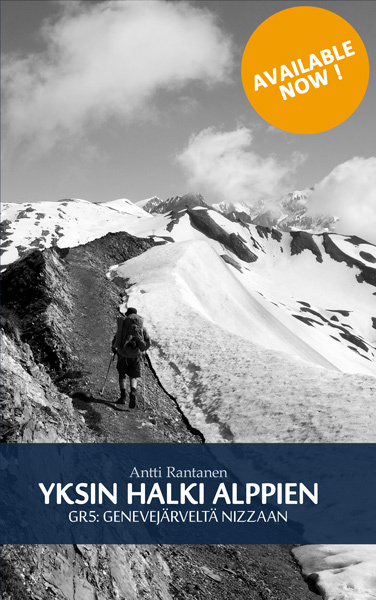 Finally I can proudly present my first book, Yksin halki Alppien, although I'm of course nervous to hear how people like it. Anyway, this long but very rewarding project is now done! I hope the people who read it would feel the greatness of the magnificient hiking trail called GR5. 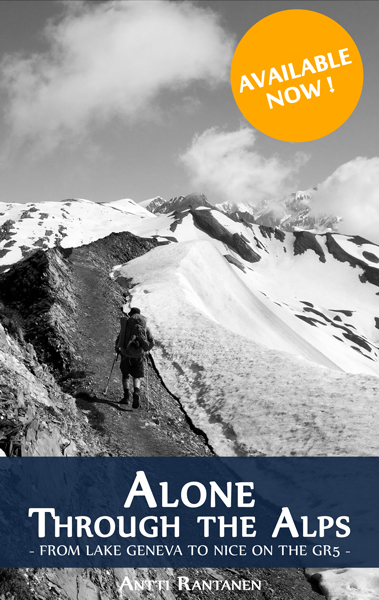 The book tells the tale … Continue reading GR5 BOOK – NOW AVAILABLE!